In June of this year, Jodi, an event rider and trainer formerly based in Ridge Spring, started her own business, Jodi Hemry Eventing LLC. 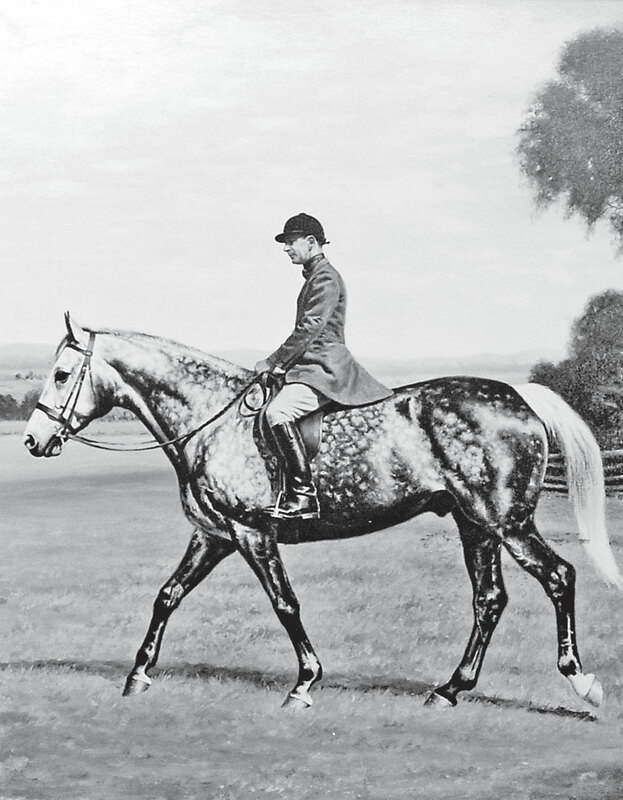 Her operation is currently located at Bridle Creek Equestrian in Aiken, adjoining Red Oak Farm, which is owned by Phillip Dutton, the Olympic eventer. There, she is giving lessons, working with horses for clients and training her own competition horses. “A big part of my business is selling horses,” she says. Jodi takes in sales horses for training, and has discovered that she has a knack for finding them the right homes. Her success as a matchmaker relies on the same philosophy of listening to the horse and finding him the right job. Whatever the discipline, Jodi is always thrilled when she has made a good match, which relies as much on finding the right rider as on finding the right job for the horse. There is a little bit of mystery in this: the horse has to be suited to doing what the rider is hoping to do, but a good match always depends on chemistry. Jodi, who is originally from Montana, was first exposed to eventing when she was in college at Colorado State. She graduated with a degree in business, and then one of her riding instructors encouraged her to pursue a career in horses. She took a position in Massachusetts as a working student with Torrance Watkins, a member of the 1984 gold medal-winning U.S. eventing team. 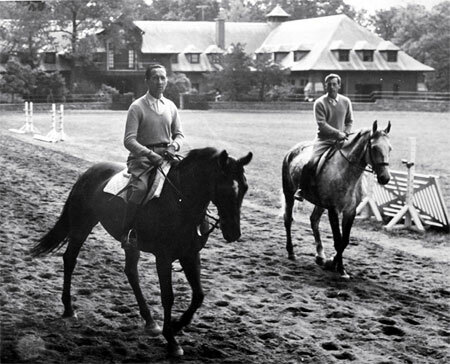 From there, she went to work for Bruce Mandeville, a Canadian Olympic eventer who spent his winters in Aiken. Bruce brought her to Aiken in 2003, and she liked it so much she never left. 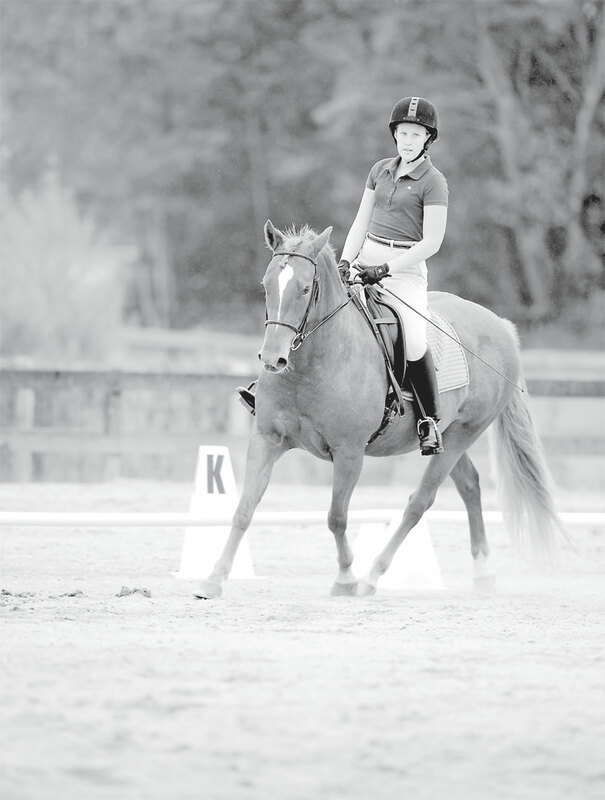 Today, in addition to selling horses, Jodi also competes and coaches her own students. She has had considerable success in both arenas. One of her students, Amy Boyle, was the United States Eventing Association Preliminary Amateur event rider of the year in 2011, on her horse Skip to My Lew. 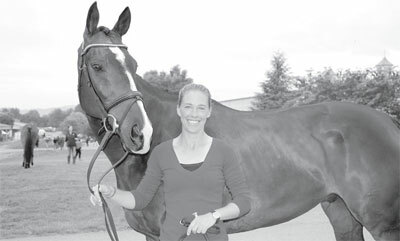 In her own riding, Jodi works with Kim Severson, an Olympic medalist and a regular on America’s international teams. Jodi has brought horses along to the two-star level and hopes to compete in the Advanced division in the future. In the short term, she is focused on getting her horses ready for the upcoming season, and expects to compete in one- and two-star events in 2013. 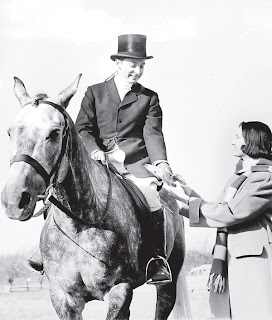 She says that she loves eventing for its challenges, as well as for the fact that it produces wellrounded horses. 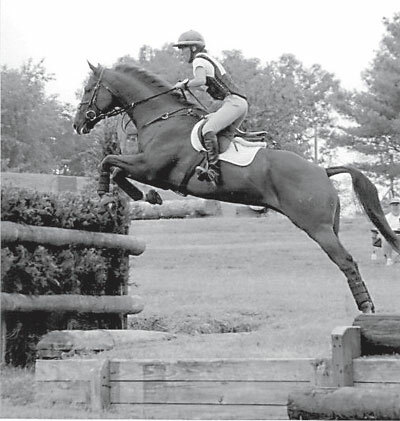 Jodi Hemry Eventing LLC currently has a number of horses for sale, and has room for a few more students. Jodi says she would like to take in more horses for training or for sale, and that she expects the market for event horses to be good this winter. She is looking forward to a busy season in Aiken doing what she loves: teaching, training, competing and just being around event horses. For more information, visit the website: www. jodihemryeventing.com. The most successful communities are the ones where people recognize that they are a community and that they are obligated in some way to that community. When people say that Aiken is a horse community, they mean more than that there are lot of people here who love horses. In Aiken’s horse community, people come together to help other horsemen as well as horses in need. You can see this aspect of the horse community at work every day at Equine Rescue of Aiken, a 90-acre 501c3 nonprofit facility where horses find new lives, new homes and new hope. 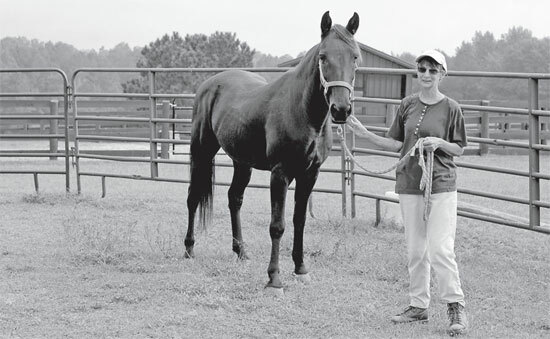 In 2010, Chris Miele and her husband moved from New Jersey to Aiken to retire. Their home is not far from the rescue, which is at Haven Hills Farm on Aiken’s Southside. “I had always worked in an office my whole life,” says Chris, “And I really wanted to enjoy more time outdoors. When we first moved here, I joined an old ladies knitting group, but it really didn’t do anything for me. I walked around my neighborhood every day. I saw the beautiful horses at the farm on top of the hill. I really wanted to see what was going on over there. It took a lot of courage for me to go there, something usually way out of my comfort zone, but I did. “Tell how you first touched a horse,” says Jim to Chris. It wasn’t long after Chris started helping at Equine Rescue that she felt a bond growing between herself and a black mare named Shadow. Chris puts a halter on Shadow and takes her for walks and to get brushed, whatever else she needs to have done. When you see Chris with Shadow you can tell they are both very much at ease in one another’s presence. 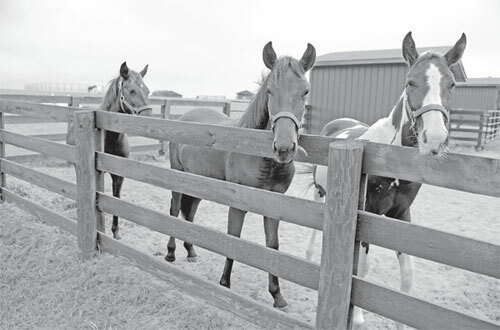 The main mission of Equine Rescue of Aiken is to find new homes for horses that need them. The rescue works with federal and local agencies and local horseman and horse owners, providing horses in need with a safe place to live until they can be adopted into forever homes. “Not all horses are adoptable,” says Jim. “We understand that, and those that make it here will always have a safe place to live.” Although some horses are adopted right away, some will spend the rest of their lives at the rescue. Rescuing horses might sound like something you would find on a dream job list, but it’s not quite so simple. With 60 horses on the property the amount of daily work involved is incredible, but Jim’s team of volunteers are a force. As many as 20 people a day contribute their energies. Some do jobs such as feeding or cleaning water buckets. Some brush and talk to shy ponies. Some pick up poop, trim grass or load hay. 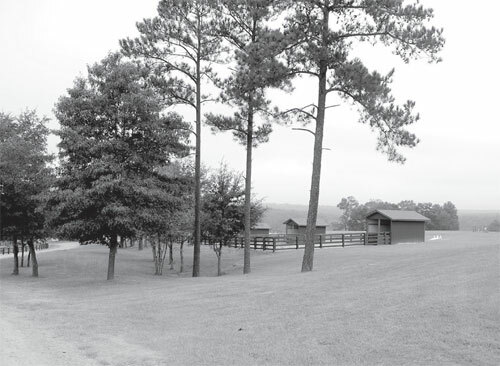 When you are at Equine Rescue of Aiken, the first thing you notice is how nice it is for the horses, and how many people you see doing so many different things all to make sure the horses have a chance to find a new job, a new life and a new person to love them. Some of the horses at the rescue come from bad circumstances and need extensive rehabilitation before they are adopted, but others just need a new situation. There are green horses off the track, seasoned trail and riding horses, even event and jumping horses. When most people imagine a rescued horse, they probably think of an animal that is old or infirm. But most of the horses at Equine Rescue of Aiken have unlimited potential. They just need a chance. A stocky chestnut mare with a golden red flowing tail and intricately braided mane, Mary trots down the center of the arena towards the judge’s box. The judge, a blonde woman, watches the horse and rider as they make a sharp left turn and then another. She whispers comments and scores to the scribe sitting next to her. The rider, dressed in a dark red polo shirt, breeches and shiny black boots, is a very quiet rider, and the pair moves with great purpose. As the mare picks up a right lead canter, her ears prick straight back and then fling forward, as far forward as ears can go. It is obvious that this is a practiced pair - they are not perfect yet, but they both have a sense of calm determination. The pair completes the dressage test and the rider, Lauren Admire, exchanges a few cordial words with the judge before turning and walking back up the centerline. She pats her horse on the neck and looks up at the man reading the test, her husband Steven. The two smile. Lauren wins the class. Jim Rhodes and his wife Debbie live at the rescue and are devoted to animals. In addition to rescuing horses, they also work with dogs and have adopted out over 100 puppies over the last year. This fall, they are finding homes for dogs and horses seized in a raid on a puppy mill in Edgefield. They always have new horses coming in, and expect to bring in more off-the-track Thoroughbreds over the winter. A number of Aiken’s polo players know to look to the rescue for their next polo prospects. Eventers know this is a good place to find horses with the ability to run and jump. “We have the greatest community of horsemen in the country,” continues Jim. “What makes our community work so well is its professionals. When we have a horse come into our rescue for whatever reason, an incredible group of people band together and do whatever is needed. Dr. Jamie Carter takes care of our worming needs. Dr. Sabrina Jacobs of Performance Equine Vets, Dr. Sarah Thompson from Estella Equine Vets, and Dr. Lisa Handy from Carolina Equine Clinic take great care of our animals, many times for free or at greatly discounted rates. We could not survive without their knowledge, generosity and charity. Much of our feed and hay is donated or sold to us at discounted rates. Merchants and horseman like Charlie Herrick and his company Banks Mill Feed, Pace Kneece of Aiken County Farm Supply, Boots Bridles and Britches, Lydia Rose at Aiken Saddlery and so many more, allow us to feed and care for our animals with the very best products available. Daren Haeusler, our blacksmith, comes in and takes care of hooves and shoes. Julie Robins of Julie Robins Natural Horsemanship works closely with our horses and volunteers, helping them become better horses and horseman. Equine Rescue runs on volunteers and donations, and there are many different ways to contribute. Money, time, a bag of dog or horse food – anything helps. Most of the local feed stores will add a bag or two of feed to their customers’ bills to give to Equine Rescue. Everyone is welcome at the rescue, from experienced horsemen to people who are just curious about horses. Lindsey and Michelle Hampton live with their children Grace and Robert on a 1,000- acre property in North Carolina, not far from the Albemarle Sound and the barrier islands of Cape Hatteras. They farm wheat, corn and soybeans and also put up some hay. Today they share their home with two horses from the rescue. “I have always had horses,” says Michelle. “My kids and I love to ride. I was on the Internet looking for a horse for our son, something he could trail ride and show in local shows. I found Equine Rescue of Aiken, and we found Sara there. We adopted her in 2008. Then, in 2010, I called Jim and told him we were looking for another horse, and now we have Diamond.